We are here to tell you about Oman. As soon as the car was cleared from Customs we drove straight to Musandam Peninsula. Separated from the rest of Oman by the east coast of the UAE and guarding the southern side of the strategically important Strait of Hormuz, the Musandam Peninsula is dubbed the ‘Norway of Arabia’ for its beautiful khors (rocky inlets), small villages and dramatic, mountain-hugging roads. 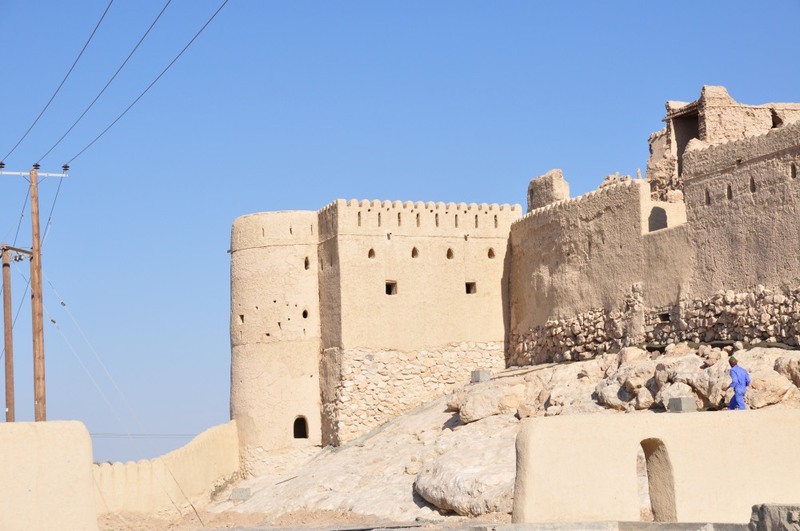 Accessible but still isolated in character, this beautiful peninsula with its cultural eccentricities is well worth a visit if you’re on an extended tour of Oman. 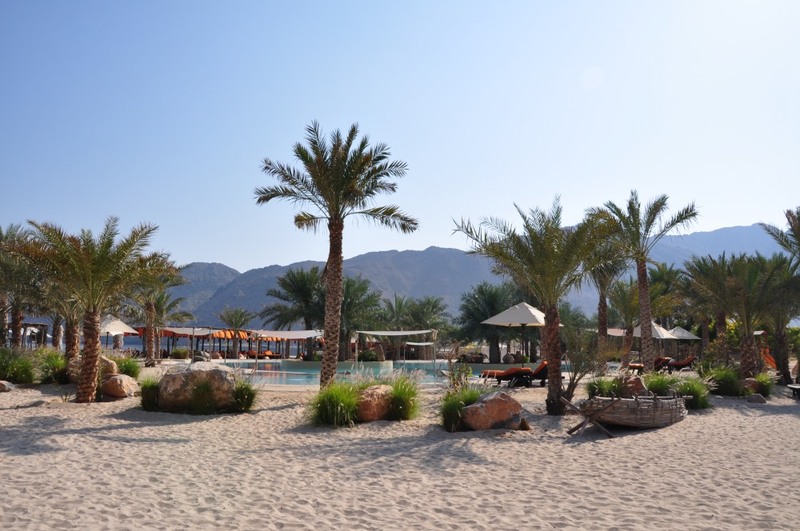 We were here eager to find a beach and somewhere to rest after a long time of constant moving around .An extra reason to be here was that Rochelle used to run one of the most beautiful resorts of the peninsula, Zighy Bay. We spent only two days in the actual resort since it was close to New Year’s and they were fully booked. Even if it was for such a short time the sun and the sea managed to get us up and running and we were back fresh and ready. We would like to thank a lot our hosts and good friends, Promod and Chandra, as well as Ali for their memorable hospitality. 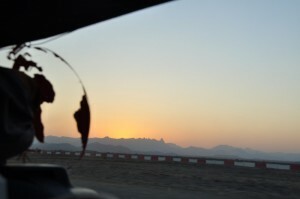 With only a week in our timeline and the New Year just a day away, we headed to the capital Muscat. Even to this day, this city has a character quite different from neighbouring capitals. There are few high-rise blocks, and even the most functional building is required to reflect tradition with a dome or an arabesque window. The result of these strict building policies is an attractive, spotlessly clean and whimsically uniform city. Rochelle contacted her friend Lori that lives and works there. Lori had invited us to her home. 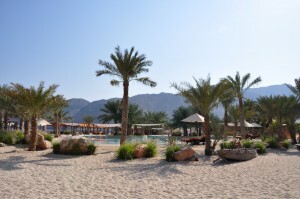 To our surprise this was a residential villa in the Shangri La, one of the biggest and most luxurious hotels in Oman. Her and her husband Adam welcomed us in their beautiful home and together we spent New Year’s Eve, an extra bonus for us. Lori and Adam, if you happen to read this, a very big thank you for your hospitality and we’re sorry for taking advantage of your washing machine for our endless laundry. We hope we will be able to return the hospitality when you come to visit us. 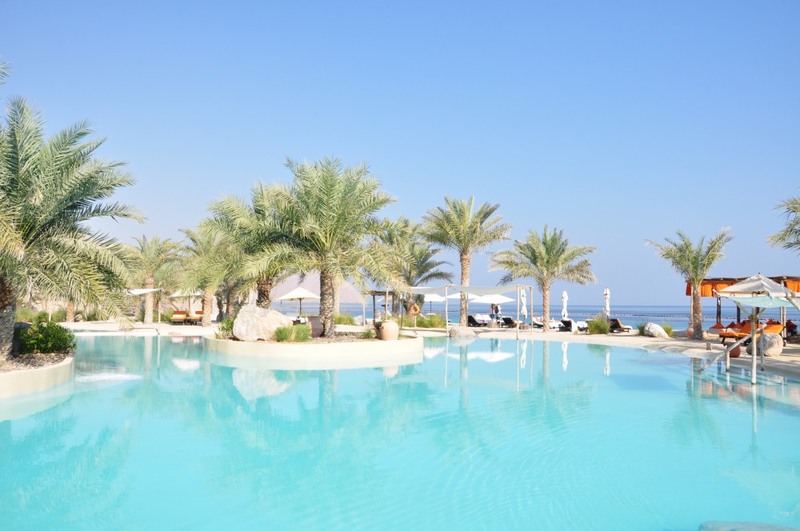 When it comes to Muscat (the name means safe anchorage), we cannot say that we explored it deeply as we spoiled ourselves with the luxury of our stay at the Shangri La and spent most of our time in the hotel premises. 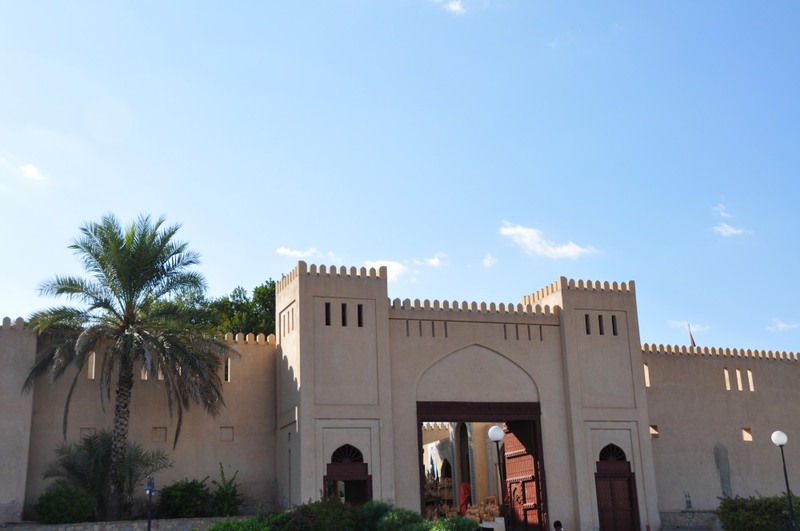 Our next destination was the city of Nizwa and its beautifully restored castle that still serves as the centre of the city’s activities. This historic town can be reached with a two- hour drive from Muscat along a good highway and lies on a plain surrounded by a thick palm oasis and some of Oman’s highest mountains. After exploring a small part of this historic city, we headed to Oman’s highest mountain, Jebel Shams (Mountain of the Sun; 3075m). The mountain is best known not for its peak but for the view into the spectacularly deep Wadi Ghul lying alongside it. The straight-sided Wadi Ghul is known locally as the Grand Canyon of Arabia as it fissures abruptly between the flat canyon rims, exposing vertical cliffs of 1000m and more. While there’s nothing ‘to do’ exactly at the top, the area makes a wonderful place to take photographs, have a picnic (there are no shops or facilities so bring your own supplies), enjoy a hike… or buy a carpet. We took only a few steps away from Voukefalas to take some pictures and carpet sellers appeared from nowhere across the barren landscape clutching piles of striped red-and-black goat-hair rugs. Weaving is a man’s job here on Jebel Shams: spinning the wool is a woman’s job. As we couldn’t find room for a carpet, we moved on. Jebel Shams is a feasible day trip from Muscat but to savor its eerie beauty, we decided to stay overnight on the plateau near the canyon rim, at Sunrise Camp. Although at night it got bitter cold, the early morning landscape was worth the effort. On our way back, we spent our last night in the beachside city of Sohar where we camped on a public parking near the beach. As we found out, that area was used by the rest of the city as well because it was a popular place for picnics. Omanis love to camp and here you are allowed to camp anywhere. In fact it seemed to me that the locals were surprised when I asked if we could camp there. My friend, “an Omani”, told me: “Here is Oman. You can camp wherever you please. Make yourself at home”. For anyone out there heading this way, Oman offers a rare chance to engage with the Arab world without the distorting lens of excessive wealth. Oman’s low-rise towns retain their traditional charms and Bedouin values remain at the heart of an Omani welcome. With an abundance of natural beauty, from spectacular mountains, wind-blown deserts and a pristine coastline, Oman is the obvious choice for those seeking out the modern face of Arabia while still wanting to sense its ancient soul.